Your external hard drive holds irreplaceable backups and increases your data mobility, but what happens when it fails? TTR Data Recovery makes it simple to get your data back securely. What Step Should You Take Following an External Hard Drive Crash? When your external hard drive crashes, your first inclination may be to use a software-based recovery tool. In reality, however, this often makes things worse by increasing corruption or storage errors. Don’t run third-party diagnostics or otherwise attempt to correct the issue. To minimize the chances of the problem spreading, simply unmount, physically disconnect and power down the device. If possible, avoid removing the drive from the external enclosure. Your recovery team might need the device in its original state to determine what went wrong. In the event of a mechanical failure, improper removal could cause more damage to connectors and confuse the issue. Next, call a TTR Data Recovery specialist to start your case. Letting us know exactly what happened and what you were doing when the failure occurred can make it much easier to remedy the fault. Is Your External Hard Drive Data Loss a Matter of Life and Death? 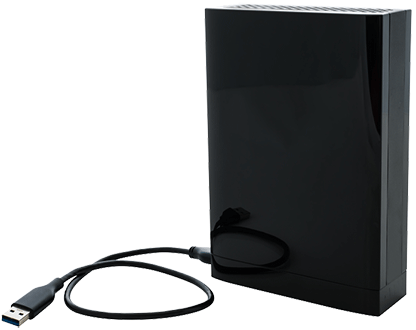 In many cases, your external hard drive failure occurs at the worst possible time. When it’s vital that you restore your information with minimal delay, there’s no better solution than contacting TTR Data Recovery. In addition to being the industry’s leading authority on data recovery, we offer a complete suite of solutions specifically targeted towards emergency situations. There's No Type of External Hard Drive We Don't Recover. Our teams aren’t just experts at restoring hard drives. Our intense training and certification processes ensure TTR Data Recovery staff know how to handle unique installations and systems. This gives us the edge needed to not only recover your data but also preserve the structures and logical schemes that make it worth saving.